India is getting into the cryptocurrency game; this is why there are a lot of BTC websites today that are based in India or cater to their region. Today, we will be looking into one of the websites that are based in India. The website is called Zebpay.com and we will be taking a tour of their website, look into their features, create an account and know how to buy and sell BTC through them. In general, by the end of this review, we should have a clear expectation of what their services are. Without further delay, let’s talk about that! 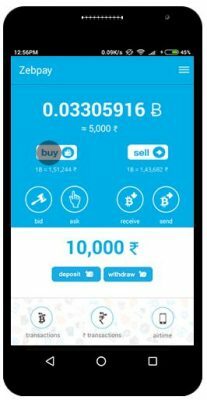 Zebpay.com is a BTC exchange App based in India. Their services include an App-based exchange wherein verified users are able to purchase BTC with just a few simple buttons. The App has been providing awesome services all throughout India since they were launched. 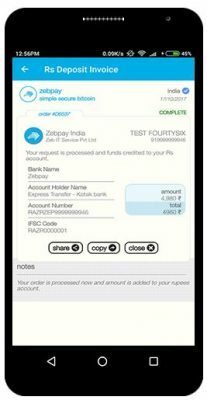 Zebpay’s official name is Zeb IT Services Pvt Ltd., and their office is located at B-403, The Capital, BKC, Bandra (E), Mumbai 400098, India. What’s awesome about this website is that they offer mobile trading since the website operates in an App. They are also not an exchange but they provide wallet services as well. This is great for people that not only want to have an App wherein they are able to purchase BTC directly, but they will also get storage for it. When it comes to customer service, Zebpay.com is not behind regular standards since they provide both ticketing service and phone support. We have stressed on so many reviews about the importance of having a solid customer service channel for customers to contact websites whenever they experience any issues with their accounts. Good thing that Zebpay can be reached through their phone support at 1860-233-0474 or send them a support ticket through this link. They also have accounts on Facebook, Twitter, Instagram, Google+, and YouTube. What are people saying about Zebpay.com? Maybe it isn’t that important to some people, but knowing real user experiences can easily give you an idea of how the website operates as a business. Do they forget about you right after you deposit money? Or do they extend the services well beyond on what you expect from them? We have read some really good reviews about the website which you guys can read here. There are mixed comments, about not being able to feed their expectations, but hey, it doesn’t matter how good you are as a website there are always people that do not appreciate what you do. This BTC exchange website that is based in India is not that bad at all. Zebpay.com is one of the newer websites that are pushing the BTC trade system into mobile devices. We honestly think that this is the next generation of BTC trading since everyone is now familiar with Apps and how it generally works. Coupled with the undying use of BTC, why wouldn’t a person choose an App over a web-based trading platform? Overall, this website is not bad at all, especially if you are from India. 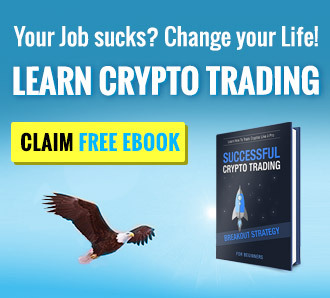 Are you from India and love to trade BTC? If you have an account with Zebpay.com, please do let us know your experience in the comments section below!